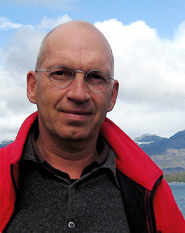 Jürgen Neffe was born in 1956. He studied physics, biology and philosophy and completed his PhD in biochemistry. His 20 years working as editor, reporter and correspondent of Geo magazine and Der Spiegel, with some years based in New York, earned him numerous awards, including the Egon-Erwin-Kisch-Prize. He also ran the Berlin office of the Max Planck Society and was an associate researcher at the Max Planck Institute for the History of Science in Berlin. Today he works as a journalist and author. As one of German ten bestselling books of 2005, his Einstein biography was translated into numerous languages and voted "Book of the Year" by the Washington Post. His biographical travel account "Darwin - The Adventure of Life" was also a bestseller and formed the basis for the first Libroid. The work on this book marked the beginning of Neffe's thoughts on the future raeding – and writing, which he published as an essay in the German weekly „Die Zeit“.